Dr. Cheryl Antos, D. Min., seeks to provide training for our volunteer catechists who teach in our program. The catechists meet twice a month for training and formation as they prepare their class lessons for the children. We enroll students from first through eighth grades. There is a two-year preparation period prior to the reception of the sacraments of Reconciliation, First Holy Communion, and Confirmation. Normally, the sacraments of Reconciliation and First Holy Communion occur during second grade, and the Sacrament of Confirmation is conferred during eighth grade. Classes run from September through April for normally seventeen sessions, on Saturday mornings from 9 am to 11:45 am. 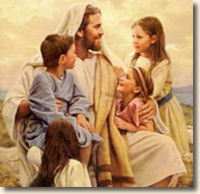 The parish also provides an optional home-study religious education program. In this program the parents are trained at monthly sessions to be the at home catechist for their children. Please call the Religious Education Program office at 708-636-4373 or check the link to the Religious Education Program Website for additional information, calendars and events. There is a modest tuition fee and book fee for children in this program. Since the fall of 1956, St. Linus Parish has generously sponsored a parish grade school. We offer a program for children from three-year old pre-school through eighth grade. In 2011 our school was nominated as one of the fifty private schools in the United States to be considered a “Blue Ribbon School” for academic excellence. Our students in grades three, five, and seven rank in the top 15% of all schools tested nationally in the Terra Nova Testing Program. Our graduates regularly attend the best public and private high schools in the metropolitan area and then go on successfully to study in university programs. Tuition is charged to all students and the parish provides a generous additional subsidy to support the school. Some financial help to families in need has been provided. For additional information about the school, either call the school at 708-425-1656 or check the link to the School website. St. Linus Parish provides religious education for developmentally challenged children. The program prepares the children to receive the sacraments. SPRED is a ministry whose mission is to help developmentally disabled children and adults feel the Spirit of Christ, and develop a sense of the Sacred and God. Participants enter the SPRED program at approximately age 6 and continue for all of their adult life. St. Linus’ SPRED group is made up of children ages 6 to 10. The program is presented by volunteers who help prepare our friends for their First Holy Communion. Do you know a child with disabilities who would benefit from our program? We can also help place children older than 10 and adults with disabilities in other churches with a SPRED ministry for their appropriate age group. Do you know someone who would like to join us in our Spiritual practice? Please call the rectory at 708-422-2400 for more information, and leave your name and phone number. 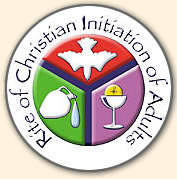 The Rite of Christian Initiation of Adults, or "RCIA", is a program for adults who are interested in becoming Catholics. 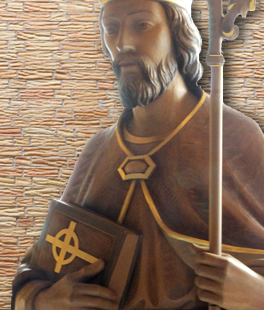 It consists of several months of instruction in the teachings, beliefs, customs and practices of the Catholic faith. Those who complete the process are baptized and/or confirmed, and receive their First Communion at Easter. There is no cost for this program, and all materials are provided by the parish.